Tickled by texture? 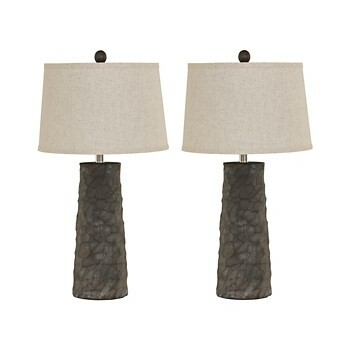 If there’s a lighting collection that illuminates textural beauty, it’s these table lamps. The carved faux wood multi-tone base exudes an earthy vibe, while the veined linen-look shade is the essence of light and airy.